Microsoft will reportedly be releasing the Threshold 2 update for Windows 10 in November. According to Thurrott.com, it will be called the Windows 10 Fall Update, and will be a cumulative update rather than a full build. If you have Windows Update enabled, you should get it automatically on the day it releases. 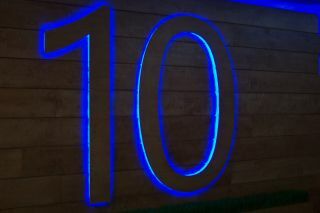 You’ll be able to upgrade to the Windows 10 Fall Update using any version of W10, without having to install prior updates, and you won’t have to activate your copy of Windows again after it installs. This also means that you’ll get the full update if you’re upgrading from Windows 7 or 8.1. It will include a number of the changes reported in the Windows Insider beta build from earlier this month, with improvements to the Edge browser and Cortana. Most importantly, the improved activation system where you’ll be able to use older Windows keys will be enabled. In addition, the Push Button Reset feature will now reset your PC to the Windows 10 Fall Update, rather than the original Windows 10 release. As OS updates go, this one isn't exactly exciting, but hopefully it's indicative of how Microsoft's "Windows as a service" treatment plays out over the next few years: consistent, significant updates that don't require installing a long string of smaller updates in preparation.